With a multitude of social channels available to them, customers are increasingly expressing their opinions, ideas and suggestions related to products and services. Social CRM allows organizations to engage and respond to these conversations and essentially reach customers “where they live”. Traditional CRM meant managing the customer relationship in a uni-directional fashion, Social CRM suggests that the relationship between customers and organizations has evolved into a one that is more transactional in nature. Thoughts on Social CRM, E2.0 and Cloud Computing , Harish Kotadia, PH.D. 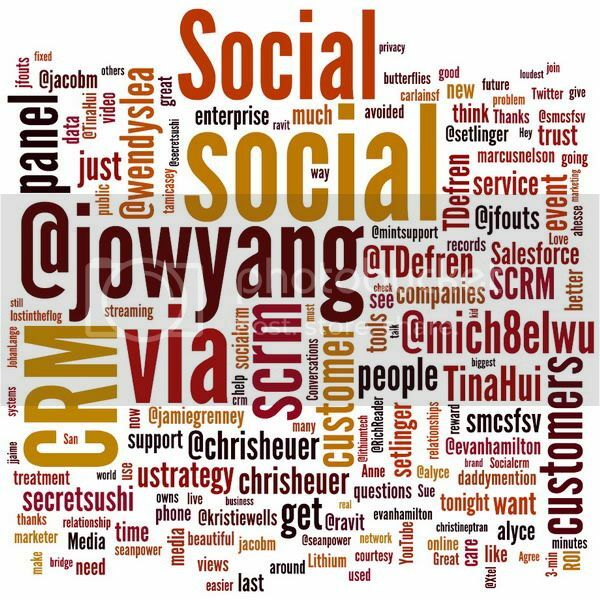 Please share any other social CRM blogs that might be of interest to our readers. Hi Catherine – Thanks for sharing the blog list! As a CRM supplier and consultant in Texas, I like to keep up with the latest goings-on in the industry. I already read Paul Greenberg’s blog which is full of great information but the others are new to me, so I’ll definitely me checking them out! You are most welcome, Aly. Social CRM has been a hot topic and it is important to provide relevant and timely information to our readers. Paul Greenberg’s blog is definitely an excellent source for all things Social CRM, and its impact on the Enterprise. Do you recommend any other Social CRM blogs? Thanks for your suggestion, Chris. Hey Catherine and Chris – Another great blog is crmoutsiders.com. It’s not strictly Social but write frequently and have great insights into the industry. Yes, crmoutsiders.com is indeed a great site. Thanks for sharing this with our readers.